In an episode to air in mid-March, the hit ABC comedy Last Man Standing -- starring Tim Allen as Mike Baxter, KA0XTT -- will prominently feature scenes with cast members using Amateur Radio. This episode will be the first episode to feature Amateur Radio since the middle of the show's first season. According to Last Man Standing Producer John Amodeo, NN6JA, the episode called "The Fight" will feature several of the regular cast members talking on the radios. "I can't say much about the episode right now," Amodeo told the ARRL, "But this episode has the most significant use of Amateur Radio in a TV comedy since Herman Munster, W6XRL4, got his ham license." Fans of 1960s television will remember the episode of The Munsters (originally aired January 21, 1965) when Herman, on his ham radio, overheard children using walkie-talkies who were pretending to be Martians. Read more here. In a Report & Order (R&O) -- FCC 13-15 -- released February 4, the FCC adopted numerous changes to its Experimental Radio Service (Part 5), revising and streamlining its rules. With the new rules, the FCC states that the Experimental Radio Service will have "a more flexible framework to keep pace with the speed of modern technological change, while continuing to provide an environment where creativity can thrive." The new rules will become effective 30 days after being published in the Federal Register. No date has yet been set for publication. 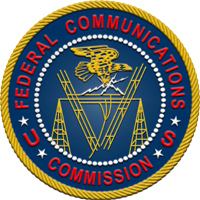 The FCC's rules contain numerous provisions for experimentation and development of new radio equipment and techniques. The R&O noted that the Experimental Radio Service rules "prescribe the manner in which the radio spectrum may be made available to manufacturers, inventors, entrepreneurs and students to experiment with new radio technologies, equipment designs, characteristics of radio wave propagation, or service concepts related to the use of the radio spectrum. To encourage innovation, the Part 5 rules provide flexibility regarding allowable frequency range, power and emissions. In exchange for this flexibility, experimental operations are not protected from harmful interference from allocated services, and Experimental Radio Service licensees must not cause harmful interference to stations of authorized services, including secondary services." To accomplish this transition, the FCC -- through the R&O -- is creating three new types of Experimental Radio Service licenses: the Program License, the Medical Testing License and the Compliance Testing License. According to the FCC, this new license structure will "benefit the development of new technologies, expedite their introduction to the marketplace and unleash the full power of innovators to keep the United States at the forefront of the communications industry. Our actions also modify the market trial rules to eliminate confusion and more clearly articulate our policies with respect to marketing products prior to equipment certification. We believe that these actions will remove regulatory barriers to experimentation, thereby permitting institutions to move from concept to experimentation to finished product more rapidly and to more quickly implement creative problem-solving methodologies." Read more here. 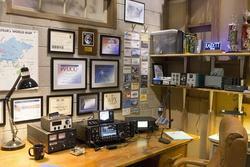 It's that time of year again -- time to start gearing up for ARRL Field Day, June 22-23, 2013! ARRL's flagship operating event -- always held the fourth full weekend in June -- brings together new and experienced hams for 24 hours of operating fun. Field Day packets are now available for download and include the complete rules, as well as other reference items such as forms, ARRL Section abbreviation list, entry submission instructions, a Frequently Asked Questions section, guidelines for getting bonus points, instructions for Get-On-The-Air (GOTA) stations and a kit for publicizing your event with the local press. New for 2013: Stations operating as Class A or B may begin setting up at 0000 UTC on Friday (which will be Thursday 8 PM EDT, 7 PM CDT, 6 PM MDT and 5 PM PDT). The groups may start and stop their set-up, resuming the set-up later, but may spend only a maximum of 24 hours cumulative time for setting up their sites. An informational flier entitled "What Is Field Day" has also been included in this year's Field Day packet. Amateur Radio clubs and individuals are encouraged to reproduce this flier as a handout for information tables. Find it and more on the ARRL's Field Day web page. The International Amateur Radio Union (IARU) Region 2 conference will be held later this year in Mexico. The Region 2 conference -- held every three years -- is attended by delegations from the national Amateur Radio societies in the western hemisphere that are members of the IARU. The ARRL is the IARU Member Society for the US. One of the topics on the conference agenda will be the Region 2 HF band plan. This band plan is "harmonized" with -- spectrum management-speak for "very similar to" -- the IARU Region 1 and Region 3 band plans. Many hams in the US may not know there is such a thing as a Region 2 band plan. Other American hams have heard of it but may not know how -- if at all -- this band plan affects them. Read more here. The National Oceanic and Atmospheric Administration's (NOAA) National Severe Storms Laboratory (NSSL), in partnership with the University of Oklahoma (OU), has launched a free app -- mPING (mobile Precipitation Identification Near the Ground) -- with which users can anonymously report precipitation from their Apple or Android mobile device. Simply select the type of precipitation that is falling at your location and press Submit -- your location and the time of the observation are automatically included in the report. "mPING gives the public a unique opportunity to act as citizen scientists, allowing them to report their observations of precipitation -- such as snow, rain, ice pellets or a mix -- in real time," said Principal Investigator Dr Kim Elmore, N5OP. Elmore, an ARRL Life Member, is a Research Meteorologist with the NOAA Cooperative Institute for Mesoscale Meteorological Studies at the University of Oklahoma. Read more here. Three new "how to" videos have been posted on the ARRL website. All three videos are hosted by W1AW Station Manager Joe Carcia, NJ1Q. How to attach a PL259 connector to coaxial cable. How to use CTCSS in a typical FM transceiver. How to enjoy split-frequency operating. To view these videos your web browser must support Flash technology. Also, some Internet Explorer browsers may have compatibility issues when attempting to view Flash video within Windows 7 and 8. If you do not see the individual video player screens on the Multimedia page, click your Internet Explorer "Compatibility View" icon located in the right-hand section of the Internet Explorer address entry window. Effective February 14, Harbach Electronics will discontinue producing and selling the Peter W. Dahl line of transformers. In 2007 after more than 40 years in business, Peter Dahl, K0BIT, retired and sold his company -- the Peter W. Dahl Company -- to Harbach Electronics. According to an announcement on the Harbach Electronics website, the company is in negotiations with other manufacturers to take over the Dahl product line of transformers and magnetics. The MicroHAMS Digital Conference will be held Saturday, March 23 at the Microsoft Studios West Campus in Redmond, Washington. The conference, which focuses on digital networking, will feature two local efforts that are leveraging off-the-shelf wireless networking technology for Amateur Radio: NW-MESH -- a local HSMM MESH program -- and the HamWAN project that is attempting to provide a high speed wireless backbone for the Greater Seattle area. In addition, representatives from NW Digital Radio will give an update on the UDK56K digital transceiver (as seen in the December 2012 issue of QST). Due to space limitations, pre-registration is strongly encouraged. The MicroHAMS Digital Conference is an ARRL-sanctioned convention. Find out more about the conference on the MicroHAMS website. The Sun, as seen on Thursday, February 14, 2013 from NASA's SOHO Extreme Ultraviolet Imaging Telescope. This MDI (Michelson Doppler Imager) image was taken in the continuum near the Ni I 6768 Angstrom line. The most prominent features are the sunspots. This is very much how the Sun looks in the visible range of the spectrum. Tad Cook, K7RA, reports: Solar activity continues at the low levels that we have seen in the past few weeks. The sunspot numbers have been remarkably consistent, with the average daily numbers for the weeks since January 17 at 56.4, 55.7, 50.7 and finally 51.3 for this past week. As you can see, the average daily sunspot number rose less than 1 point from the previous week to the past week, while the average daily solar flux receded 2.4 points to 104. Geomagnetic conditions remain calm. 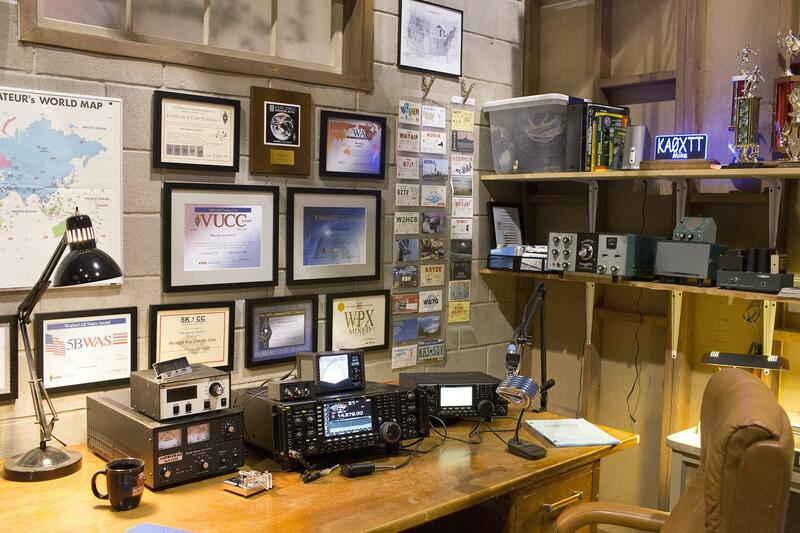 This weekend is the CW portion of the ARRL DX International Contest. Conditions will probably be about the same as last year, because solar activity is about the same as it was in 2012. 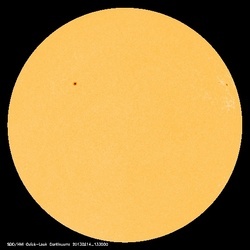 The latest prediction for solar flux shows values of 105 for February 14-15, 110 and 115 on February 16-17, 110 on February 18-21, 105 on February 22, 115 on February 23-24, 110 and 105 on February 25-26, 100 on February 27-March 3, and back down to 95 on March 4-9. The predicted planetary A index is 5 on February 14-16, 8 on February 17, 5 on February 18-21, then 12 and 8 on February 22-23, 5 on February 24-28, then 10 and 8 on March 1-2, and back down to 5 on March 3-17. Look for more on the ARRL website on Friday, February 15. For more information concerning radio propagation, visit the ARRL Technical Information Service Propagation page. ARRL Headquarters will be closed in observance of Presidents Day on Monday, February 18. There will be no W1AW bulletin or code practice transmissions that day. ARRL Headquarters will reopen Tuesday, February 19 at 8 AM Eastern Standard Time. We wish everyone a safe Presidents Day holiday.